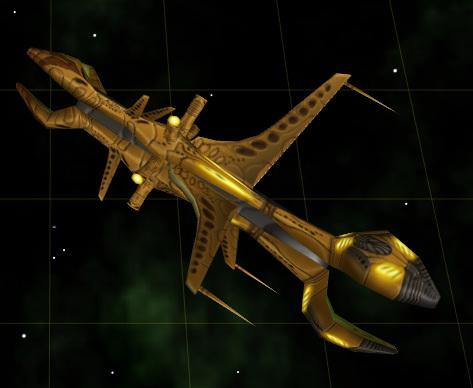 A designation given by the Borg (the species' name referred to by Star Trek Online as the Undine, though the Hirogen refer to them as 'Fluidians'), Species 8472 has a dense genetic structure, with each cell containing more than a hundred times the genetic material of a human cell because of their tri-helical DNA structure. On the cellular level, Species 8472's own somatic cells can become extremely virulent when in a foreign blood-stream, duplicating themselves rapidly. When a member of Species 8472 attacks a victim with its claws, some of the former's cells are left in the wound. These stray cells multiply, spreading through the victim's entire body, consuming it from the inside out while the victim remains conscious. Since the attacking cells employ the same advanced immune response as when inside the creature, they are able to resist conventional treatment methods. This system also makes them entirely immune to Borg assimilation. Species 8472's anatomy is unique in that they possess three five-jointed, even-toed ungulate feet or hooves. They have cross-shaped pupils, and communicate exclusively through telepathy. They have tall, thin, skeletal bodies possessing very little soft tissue, and appendages appear to be supported by sinuous strands of muscle. Their outward appearance is marked mainly by bony crests located on their chest and disproportionately large heads, giving them a generally gangly appearance. They have as many as five genders, each of which apparently occupies a different region of fluidic space. Species 8472 can also survive the unprotected rigors of normal space, and appear to not need to breathe an atmosphere, or even the organic fluid present in its own realm. Members of Species 8472 emit a biogenic field around their bodies which interferes with normal transporters and renders it partially invisible to sensors. It is one of the most evolutionarily advanced species encountered in the Star Trek universe. However, while species like the Borg have reached the pinnacle of technological achievement through assimilation, Species 8472 has established dominance based on their biological superiority. Their powerful biology renders them immune to most Federation scanning technology and has prevented their assimilation by the Borg. Species 8472 possess incredible strength and stamina as demonstrated in the episode "Prey", when a single member of Species 8472 is attacked by a Hirogen hunting party with heavy weapons. Thinking it dead, they take it back to their ship, only to discover otherwise after the alien injures the Alpha Hirogen and decapitates his subordinate. When the alien makes its way across Voyager's hull, it tears a bulkhead to gain access to the ship. Though the alien is badly injured, it eventually heals itself, regenerating wounded flesh, and appears capable of surviving and recovering from significant injury. Members of Species 8472 exclusively attack with their claws and raw strength; they never use a hand-held weapon, instead allowing their superior immune system to be used in an offensive role. Species 8472 live in "fluidic space", a different dimension (probably meant to be outside our universe although it is stated that it is only definitely outside our galaxy). Fluidic space is a continuum filled with an organic fluid. Fluidic space has no stars, planets or nebulae. However, in Star Trek: Armada II, fluidic space has several nebulae referred to as fluidic nebulae, and are identical in nature to those produced by the massive Behemoth-class bioship. Species 8472 uses a type of organic spacecraft known only as a bioship, controlled by a single pilot (or at least capable of being flown by a single crew member). Because bioships are made of the same organic material as their pilots, it is possible that Species 8472 control the ships telepathically, though Species 8472 have been witnessed operating a console to pilot the bioship. A bioship explored by the Voyager crew had a breathable atmosphere; however, as it was attached to a Borg cube at the time, it may have simply taken on air when it penetrated the hull. Each bioship possesses an electrodynamic fluid circulatory system presumably for the distribution of power, a neurological computer core, an incredibly powerful biogenic energy weapon system, and warp capability. The hull can change shape to attach to other ships, melting through the hull, and can rapidly heal damage. The vessel can function effectively in both normal space and fluidic space. 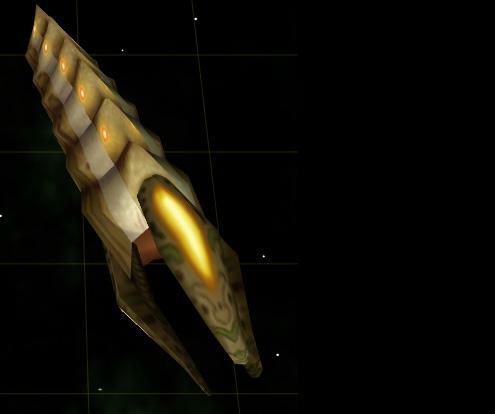 The bioship's main weapon is powerful enough to destroy a Borg cube in only a few shots. Likewise, when a Borg cube rammed a bioship to destroy it, both vessels were annihilated despite the comparatively smaller mass of the bioship. The weapons of eight bioships (referred to in Star Trek: Armada II as "Species 8472 battleships") can be linked with that of a larger ninth bioship of modified design (referred to in Armada II as a "Species 8472 bio-frigate"); the collective weapon thus formed can destroy an entire planet in seconds. Relevant episodes of Star Trek: Voyager in which Species 8472 appear include season 3 episode 26 (season finale) "Scorpion: Part 1" and season 4 episode 1 (season premiere) "Scorpion: Part 2", season 4 episode 16 "Prey", and season 5 episode 4 "In the Flesh". Species 8472 are discovered by the Borg in 2373 when they invade fluidic space (as revealed in the episode Scorpion, Part II) by opening a rift in space using a deflector dish. The Borg discover Species 8472 in the Delta Quadrant and try to assimilate its biotechnology which is more advanced than anything the Borg have seen. The Borg quickly realize that 8472 is immune to assimilation, and that contemporary Borg technology is no match for it. 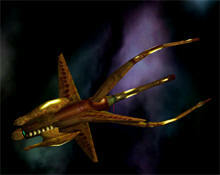 In fact, 8472 is one of the few species so advanced that its ships are able to destroy Borg cubes in seconds. Species 8472 then invades the Delta Quadrant in retaliation to Borg aggression and begins a systematic extermination of the Borg and innocent species as well. Over the course of five months, tens of billions of drones are lost, as well as several hundred planets. When the crew of Voyager realizes that it has no choice but to go through Borg space in order to continue home in any kind of timely manner, Captain Janeway hatches a plan to construct a weapon to kill Species 8472 and use it as a bargaining chip with the Borg in exchange for safe passage through Borg space. The Borg accept. In conjunction with Janeway, the Borg develop a high-yield warhead armed with modified nanoprobes, developed by the Doctor, the ship's Emergency Medical Hologram (EMH), from the Borg's own technology, that is extremely effective at killing 8472 and forces it to retreat to fluidic space. In return for Janeway's help, the Borg allow Voyager safe passage through their space for the duration of their cooperative efforts. However, upon Species 8472's retreat from normal space, the Borg terminate the alliance in favor of (unsuccessfully) assimilating Voyager. Concerned about the threat posed by humanity, Species 8472 builds 13 "terraspheres" in the Delta Quadrant and recreates Starfleet Academy within as a staging ground for an intelligence gathering mission on Earth. The plan is uncovered by Voyager and peace talks commence. Voyager convinces 8472, led by an individual posing as Boothby, that the Federation has no quarrel with them – it had in fact long been known that the Borg themselves started the war between the two species by invading fluidic space to assimilate the superior technology of Species 8472. Capital Ships. Species 8472 has no fighters; end of story. They will be at a severe disadvantage in this respect. But they will possess a variety of abilities that will either target fighters, or nearly nullify fighter damage. With that said, 8472 will have the following niches of Capital ships: Battleship, Colony, Support. Insanity - Like disorientation, very low AM cost, medium recovery, long duration. Single Target, not channeling. (Super) Planetary Pulse - Massive Instant Damage to Planets for no AM cost, long cooldown. Nebula - Generates a Nebula field, preventing jumps, quickly destroying small objects (strikecraft, bombers). Rift - Allows the Behemoth Initiate a phase jump from any location. (Super) Nebula Reaction - If the Behemoth has enough power left, or another Behemoth is present, it may fire a pulse into a Nebula field to deal massive damage to all enemy ships in the field. Concentrate - Better focuses weapon fire on target, at least doubling damage upon target. Channeling. Planet Concentration - Planet Bombardment damage is multiplied similar to Concetrate. Rapidity - Syncs the Frigate with allied ships, significantly reducing phase jump time within a field. Regenerate - Immediately places Shield and Hull back to 100% but costs 300 AM. Smaller Vessels: Species 8472 doesn't do very well to distinguish between Frigate and Cruiser. Instead, they have ships which can be build in vacuum space from Embryos, and are very small. These are all built from Active Embryos. Detect Cloak - This vessel can make invulnurable targets vulnurable, and detect mines for targetting. Telepathic Link - Replicate TEC scout ability. Read Computer - The Telepath aboard the Destroyer telepathically reads the enemy computer in range. You immediately detect which planets they own. Psionic Disruption - Disables and makes invulnurable one target. Nonchanneling, Duration = Cooldown 20=20, 30 AM? Can target enemy ships as well. This ship has not direct firepower, and mainly is used for boosting resource income. It does have military purposes, though. Mining Beam: Target any Planet or minable asteroid to gain an instant single bonus of Crystal and Metal. Extraction Beam: Deals moderate damage over time and provides credit and metal upon completion. These are produces from Passive Embryos. 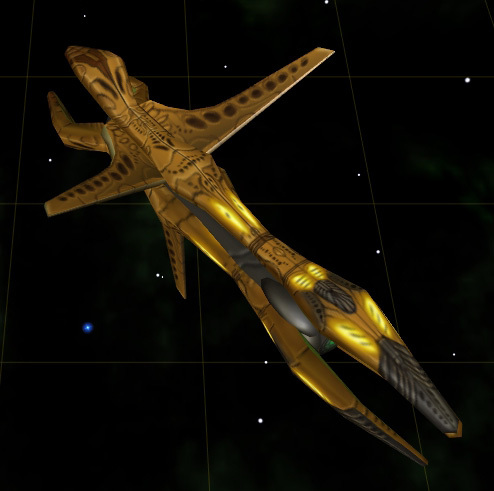 This ship has no direct firepower, and mainly is used for boosting abilities and most commonly assists the Collector. Ths ships naturally repairs itself faster than anything else known to exist, and should have an extraordinary Antimatter Regeneration rate, aswell. Assistance: Reduce Ability cooldown and antimatter cost. Single Target, nonchannel. High duration, low cooldown. Refuel: Consuming 100 Antimatter, this ship provides 100 antimatter to a target. Medium cooldown. This should have an inaccessable stable build from constructors, but therwise also be buildable from passive embyros. They port in Battleships, Behemoths, and Battle Frigates. And these three beauties are also built from passive embryos. This is the most basic research station, and Likely best used as the Civilian Structure. This is the structure used in Armada II to upgrade the Behemoth, but it can be used for something else. This is the structure used to upgrade ship systems, ie: combat, hull/shield, sensors. This would pull off being the Military Lab.